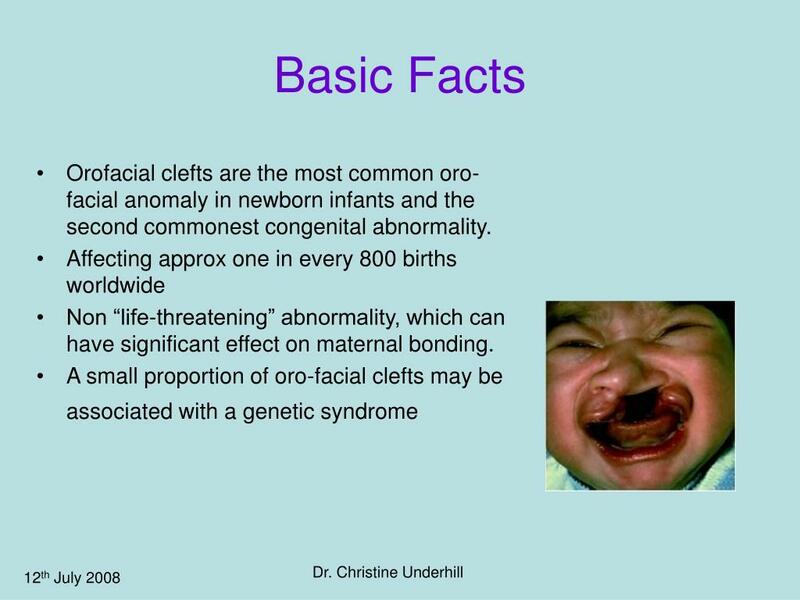 A cleft lip and palate affects the lip, nose, gum and roof of the mouth, back of the mouth and indirectly the ears. The Australian Craniofacial Unit considers... 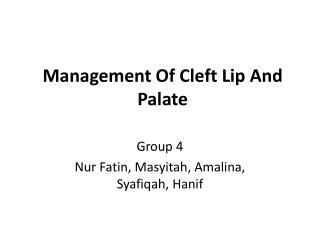 The management of children with cleft lip and palate presents many challenges but also many rewards. Our involvement with these children and their families often begins before birth and can extend into late adulthood. Affected individuals present a multiplicity of problems and effective management involves a wide range of specialists. The Children’s Hospital Westmead book Cleft Lip and Palate, a Parents’ Guide or CleftPals Victoria Parent Information Booklet (pdf 1.5M) are good introductions to cleft palate. This picture shows an unrepaired secondary cleft (cleft palate) in a 6 month old child who has had repair of a bilateral lip cleft.